Ever wonder where sunflowers come from? 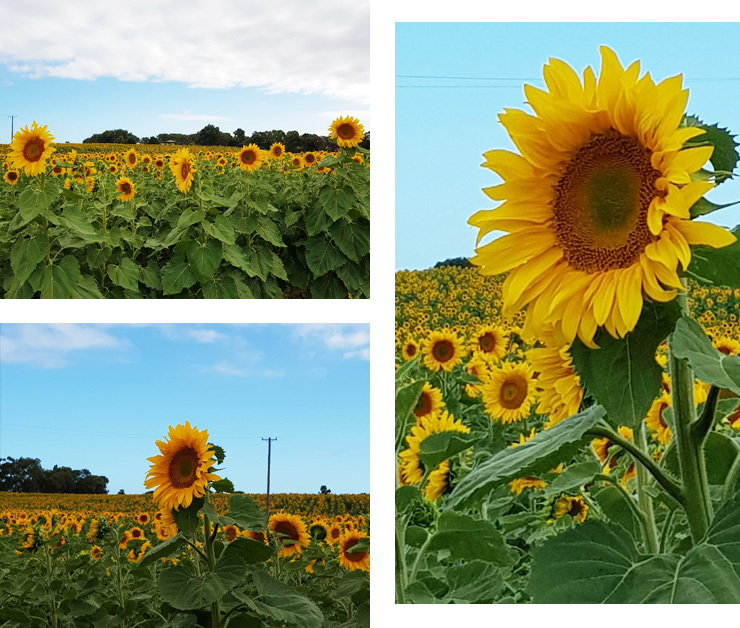 Here’s how to find the fields: drive south-west of Brisbane for approx 1.5 hours to Warwick, then take to road along Sunflower Route, approx 50 kilometres long. Congrats, you just found the The Sunflower Route sunflower fields. Here’s the thing about sunflowers though—they don’t last very long. Locals reckon the thousands and thousands of blooms will wither and die within a few weeks (prime time to catch these beauties is between late Jan to end of Feb), which is about a week or two longer than most plants last in our apartment...but that’s another story. BRB, we’re going to stop and smell the flowers.